So, you’re interested in how you can help us out? That’s awesome! We are grateful that you’re considering taking action and getting directly involved with the mission of Back to Jerusalem. First, BTJ is not a missionary sending agency, and is not in a position to send and support western missionaries on the foreign mission field. However we’ve listed out some ways below that you can get involved with us. So please take a look, and if you need more information about something or would like to speak directly with a BTJ representative head over to our contact page. Programming (volunteer position) – A Volunteer BTJ programmer is kept in a damp, dark basement and fed an endless supply of Cheetos and Mountain Dew. You become a member of a team where you never get to discuss with anyone the amazing things that you are apart of. Graphic Design (volunteer position) – Can you draw stick people? Good. Welcome aboard! English Teacher (volunteer position) – BTJ kinda needz helpening wif are English. Contributing author – A contributing author is someone who can help write content for the webpage and newsletters. Start as a volunteer, have your writings featured in our missions newsletter and website, and possibly grow to a paid position. Editors – Do you have editing skills and want to use them for the kingdom? BTJ can use volunteers to edit articles before posting them online. Go – Join a prayer trip with BTJ to see the work on the ground. We are traveling to Tibet! Want to go with us? Join our prayer list and pray for the work. Share our information on social media. Request the Back To Jerusalem 30 Day Devotional book, and get a small group together to pray for BTJ missionaries. Spice up your Bible study with some School House Tea, sold on our online store. Get your church involved in prayer, or see if they would like to become a monthly supporter of BTJ. 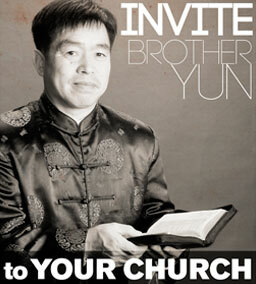 See if your church would be interested in having Brother Yun or Eugene Bach come to share. Better yet, see if several churches in your area would like to have a joint service. Evaluate whether you would like to be an ambassador or assist a current ambassador of BTJ. Consider doing a fund raiser for Back To Jerusalem. Directly Support some of BTJ’s active projects. Shop with Amazon Smile when you shop on Amazon.com.